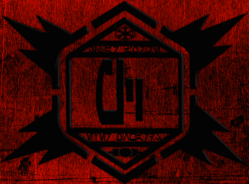 Guild Type: Casual-Heavy Imperial/Allied factions RP guild. Guild Stronghold/Flagship: Yavin 4 Stronghold and Flagship, both fully unlocked. Out-of-Game chat: We have a Discord Server, which people are granted access to when they join or if we know the individual. The Paragons Covenant is the result of an operation and concept created by a small cadre of Sith and Military officials in the Empire to create a lasting bastion within the Imperial ranks that would be able to reliably keep order and forge unity between its members in order to influence the Empire in a more efficient direction. 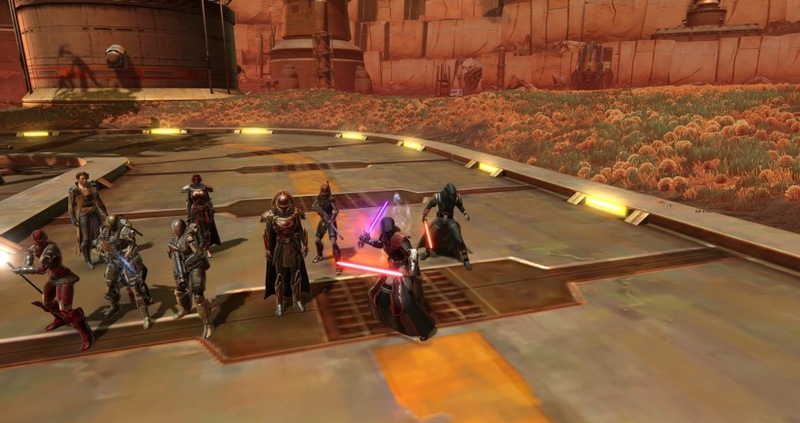 Though the operation was originally a botched attempt on several fronts, it was picked up a final time by Darth Tarasirs and got a significant amount of traction, leading to many different individuals to gather in order to sign up for the operation, whose other primary purpose was to act as a responder force to combat threats against the Empire and its sovereignty, wether internal or external. Since, the Covenant has grown in many different circles, incorporating the allies like the elements of the Chiss Ascendancy and Mandalorian Clans into its ranks, aswell as a growing troop of freelancers, a strong Sith presence and a vast amount of Military assets. Their surge of influence has propelled them to a position to further their goals, and will stop at nothing to protect the Empire from its enemies. They operate from within Imperial space, with pockets of territory strewn about in areas stretching from the Imperial Capital to the Far Outer Rim and Wild Space, primarily based within their mobile headquarters, the Sovereign's Convergence, a Harrower-Class Dreadnaught. By having a respected standing with imperial allies, and remaining in the good graces of the Empire most of them derive from, they are in a highly coveted position to influence galactic events, if they so wish it. We here at <The Paragons Covenant> are a relaxed and easy-going RP group of guildies that wishes to find a healthy balance between interactions among individual characters and the overarching narrative of the guild story. With the guild being a bit open-ended in its potential goals and allegiances, (though primarily Imperial, first and foremost) we are able to include and consider a wide variety of different characters and thus a wide variety of different stories to the guild. Characters with higher titles such as Moffs, Admirals, Darths and Lords would be welcomed, provided that they were a good fit, and we strive to offer a fair bit of everything within the guild. Our primary recruitment goal at the moment is to acquire more non-force using characters for our branches, especially the military and mandalorian ones. Though we would naturally not cut recruitment of others despite this goal. Basically, we are looking for good people that want a guild that wishes to provide a safe and friendly environment for its members. If you contribute to RP where you are able and make the effort to get to know people in the guild, you are off to a good start. If you further prove that you are a compatible player that doesn't cause unnecessary drama and can be trusted to maintain a respectful behavior then you are exactly what we are looking for. Click this to get a comprehensive list of the guild policy, as seen on our Enjin site. However, they can be summarised as such: Be civil, respect others in all that you do or say, don't cause drama and be a team player. We won't demand activity from you for you to be in the guild, but if you join we will atleast hope that you are around enough for us to get to know you some! 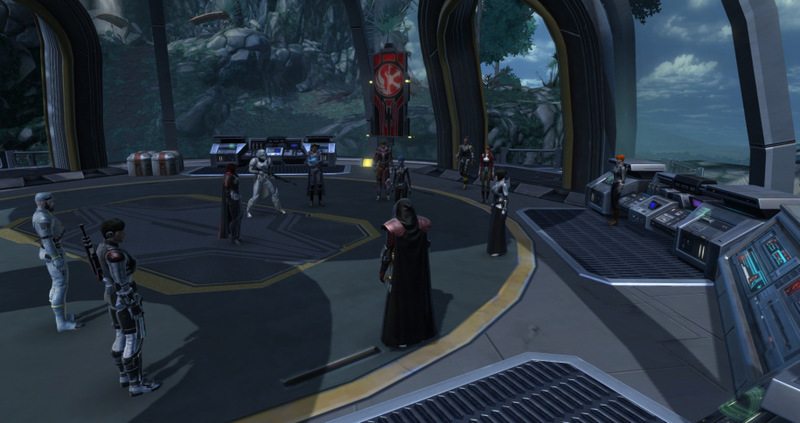 We have a fully unlocked and furnished Dromund Kaas stronghold which is ICly placed within an outpost situated in the jungles of Taral V. Its main function is to exist as a studying and training ground for the various Sith apprentices that are being mentored within the Covenant, whereas a personal Yavin 4 Stronghold is being utilised as an official IC headquarters. 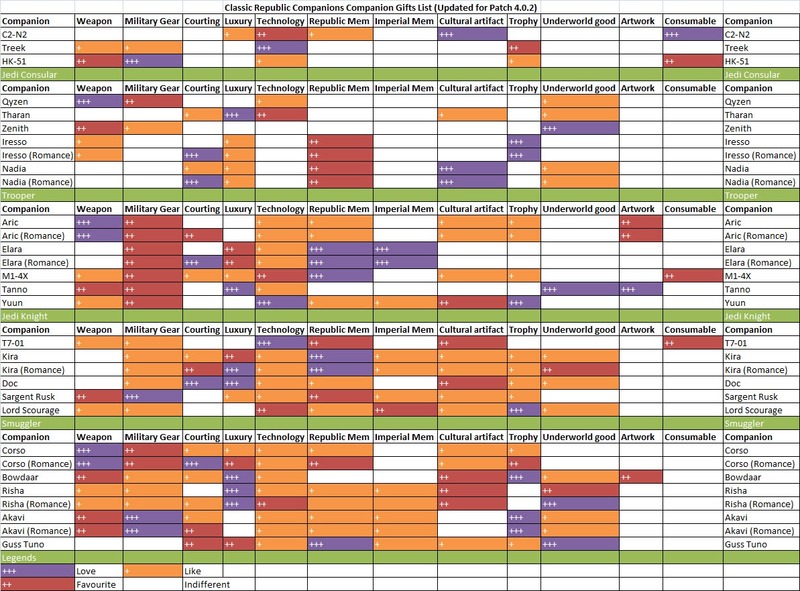 We also have more than twenty regularly active and available members that are on during different times of the day, rather consistently keeping us fairly active at most times with six people online being a regular figure, at times spanning up to being 17 or so players online at once, with the current noted record going up to thirty players online at the same time. The guild flagship was bought some time ago and has recieved all of its expansions fully furnished, and is mostly being used for RP scenarios and is close to being finished. 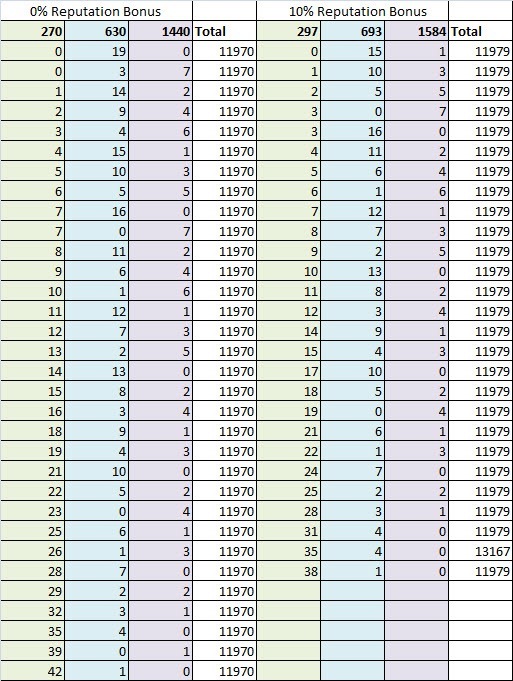 We host events regularly, though with infrequent intervals. One a week is the current guaranteed figure, with an overarching guild storyline presently ongoing, which is going parallel with the story of Knights of the Eternal Throne. 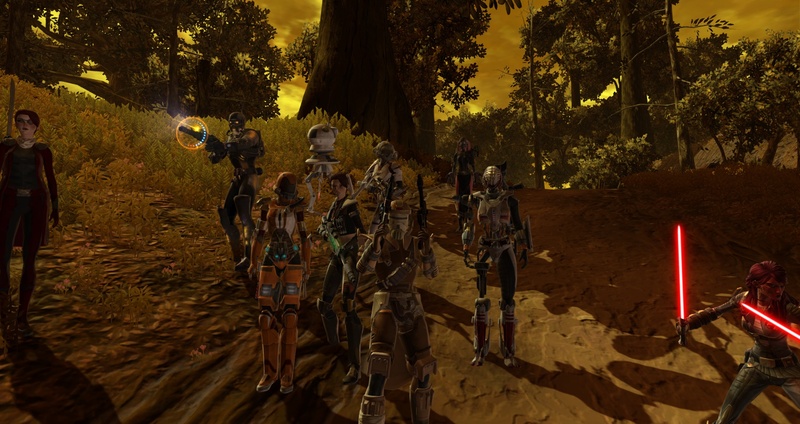 We have currently gone past Vaylin's attack on Odessen and slowly leading up to the events of Iokath and beyound. 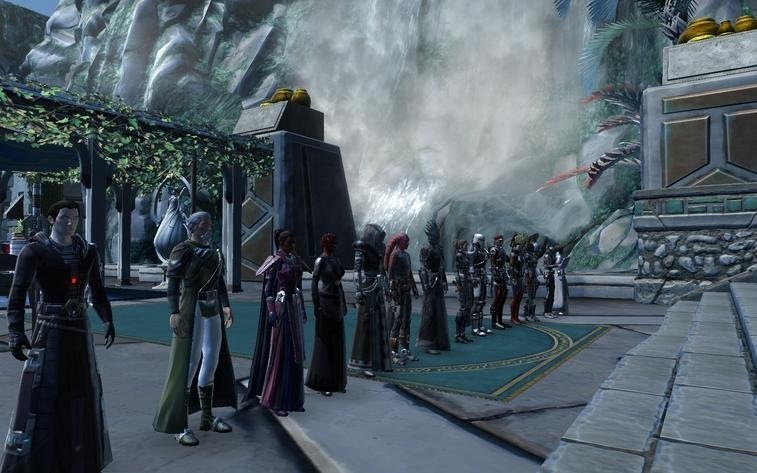 The Paragons Covenant is a guild that allows for many different types of characters to sign up, and one that has plenty of more room to grow and be developed. 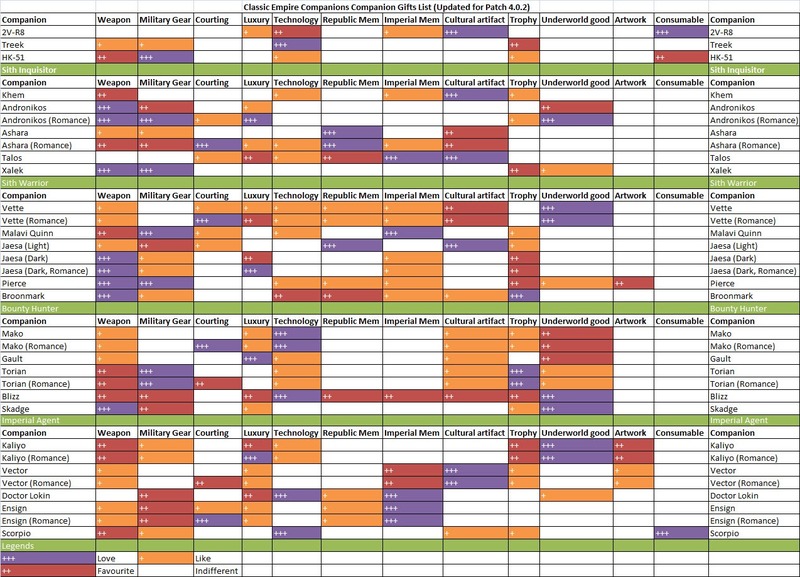 We love to get new ideas and will try to utilise as many of these as possible in helping the guild to grow and evolve. So when or if you try to join, give us suggestions and friendly pointers, we will see what we may do to implement things. Lastly, we have a well-used Discord channel for voicechat, textchat and RP. If your application is approved, one of the officers or the guildmaster will meet up with you as soon as possible to have an IC interview, in order to introduce your character into the guild through RP for a seamless transition. However, if your character for IC reasons happen to not be a good fit due to reasons such as ICly threatening or insulting someone who would likely be their superior, then there is still a chance that your character may not be able to join the guild. However, the exact scenario that you want to play out to get your character joined can be discussed and decided upon between you and the officer(s) that you talk to. It does not have to be a generic meeting if you do not want it to be. When your IC interview is done and approved, you will officially recieve the invitation to join the guild. Together, Moff Walker and Moff Gattin lead matters pertaining to the Covenant's Naval and Army forces, act as part of the command of the Covenant's flagship, the Sovereign's Convergence, while simultaneously acting as the main imperial commanders within the powerbase aside from Darth Tarasirs himself. The Operations Group has gone through various iterations of leadership and organization before finally solidifying itself into a well-oiled machine, ready to engage the enemies of the Empire wherever their attention turns. 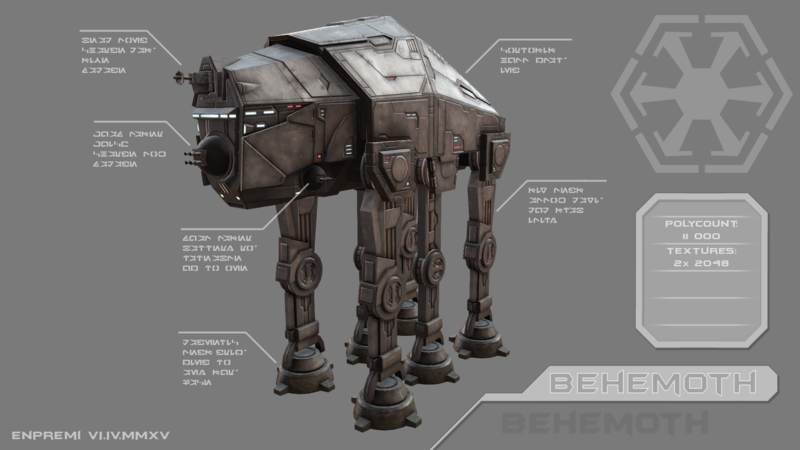 With the Operations Group gearing up for an active participation in the Empire's campaigns outside of the Iokath system, the soldiers, officers and specialists within its' ranks gear up and prepare accordingly for the harsh realities of war that is sure to follow in the days ahead. Simple soldiers, special forces, navy operators and pilots, aswell as various imperial officers are exactly what this branch caters to. 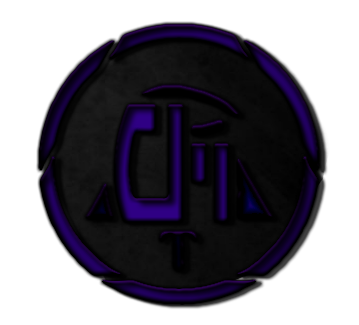 The Outrider Initiative is an effort to form a loosely based conglomerate of Able bodied citizens, Freelancers, Mercenaries, Bounty Hunters and Underworld types in order to tie them together under the cause of the Covenant. It was once formed by order of Darth Tarasirs in order to keep the Freelance individuals within the Covenant organised, trained and supplied. For this endeavour he originally chose an enigmatic information broker known publically only as "Auren", aswell as a master thief and smuggler, Hayden Vale, for the task of rounding up the rest and command the efforts of the Outriders. 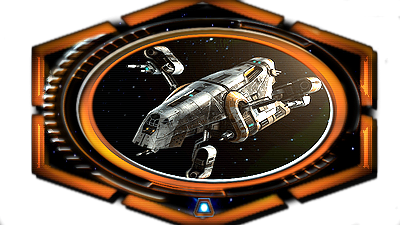 Illicit deals are encouraged in the right locations, and further associations with the many mercenary elements within the galaxy are endorsed, as the Outriders become the gateway to the galactic Underworld. Having straddled the line between a highly efficient private military to a relaxed and opportunistic band of freelancers, the Outriders eventually settled for being what they were always meant to be, a band of brothers and sisters making credits and taking names. Two long-time veterans eventually took up the reins of command of the now well known outfit, these two being a veteran hunter of force sensitives, Cayde Masters, nicknamed "Outlaw", and his right hand man in the form of the Underworld-savvy Sith Lord "Varek Gunn". Together they were chosen to lead these independant elements and turn them into a professional and highly qualified force of Contract Operators, handling the work that the Imperial Military and other clients handed down to them. Freelance individuals not part of any factions, criminals wanting a better deal by signing up with something reputable, Smugglers, Bounty hunters and various mercenaries are what the Outriders will mainly consist of, and what they will keep an eye out for. Any individual with neutral affiliation can be included within it, Civilians included. 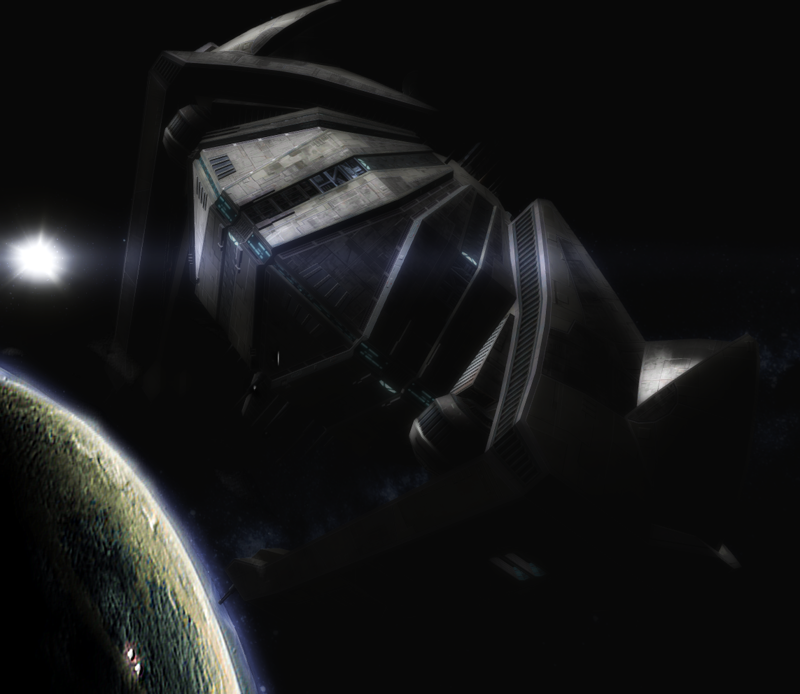 An Intelligence network that exists without the knowledge of the Covenant at large, and officially doesn't exist as far as most others are concerned, the Phantom Cell is an official extension of Sith Intelligence operating on a covert basis to supply the Covenant with its fair share of spies and information. It simultaneously acts as an attempted project to resolodify Sith Intelligence and strenghten it back up to the state it was prior to the multiple conflicts caused by the Zakuulan invasion. 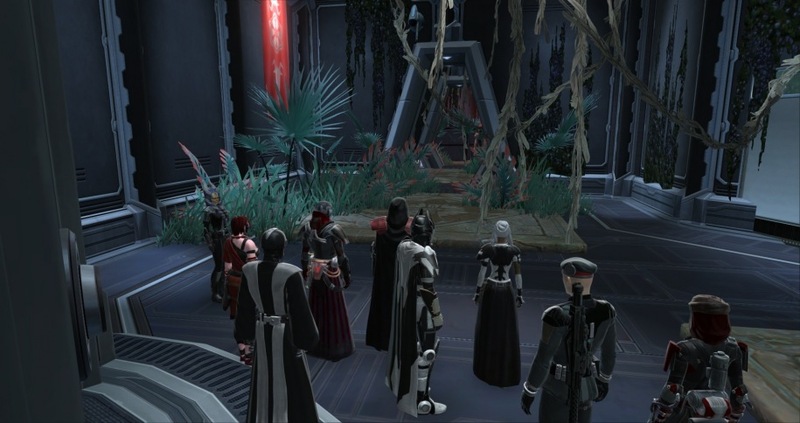 While originally only a small group of spies under Spymaster Xalazar and the synthetic construct known as Coordinator Milla that masqueraded as a special forces group, the Phantom Cell has grown to become a large and well hidden extension of Sith Intelligence. With its deeply entrenched position and easily deniable existance, the Cell can coordinate with the higher echelons of the Ministry of Intelligence in order to safeguard the Empire from within, and give it the upper hand. They adhere to orders from their supposed superiors while under cover to maintain their secrecy, but answer to and recieve commands directly from Darth Tarasirs himself. As the Phantom Cell grew, so too did its assets. Now able to have a hand, an ear and an eye wherever they require within the Covenant, their work goes unnoticed as the agents and operatives within carry out their lives appearing as soldiers, mercenaries and anything else inbetween to keep their existance secret. Having gone through a long line of leaders throughout the Covenant's existance, the cell finally ended up being the mandate of two old imperial intelligence assets designated as 'Heshi'ele', the Director, and 'Chel Oskaburu', the Advisor, respectively.. 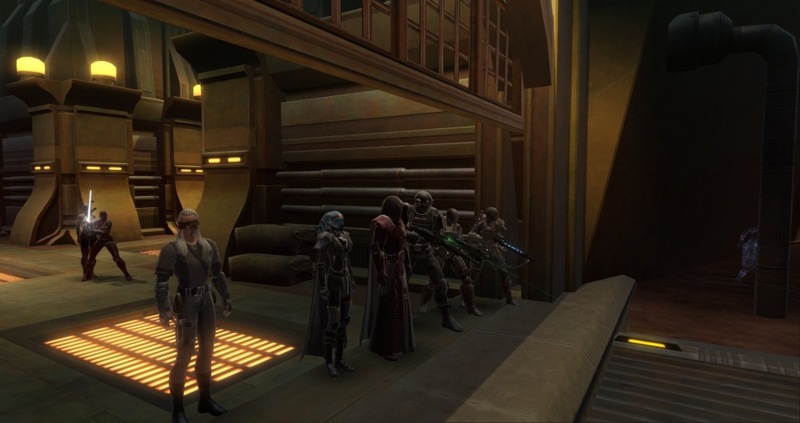 Together with the rest of the agents they blend in with the the powerbase's own under the cover as Diplomatic Service representatives while planning with Darth Tarasirs in the shadows how best to utilize their operatives for the Empire's betterment. An evolution of concepts, the Gar Ka'rta Coalition rose to prominence when more and more Mandalorian Clans surged through to join the Covenant's organization, and became active in the space of the Sith Empire to work alongside it as valuable and useful allies. 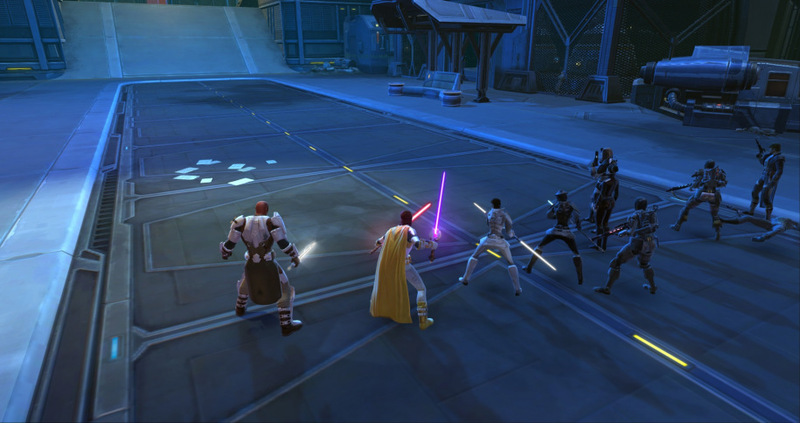 Though distrusted within the Sith Empire at large largely due to their current association with the Eternal Alliance, their previous pact with the Sith Empire and Mandalore the Avenger's focus on survival make them fit in well within the general operations of a diplomatic powerbase such as the Covenant, having had both the time and the care needed to establish themselves within it. Having grown from years of planning and select fostering of a unified Mandalorian front, built from the scores of Mandalorian Clans active in imperial space, clansmen within the Gar'Karta put differences between clans and individuals aside as best they can to achieve shared goals and build their reputation together as brethren alongside their imperial allies. 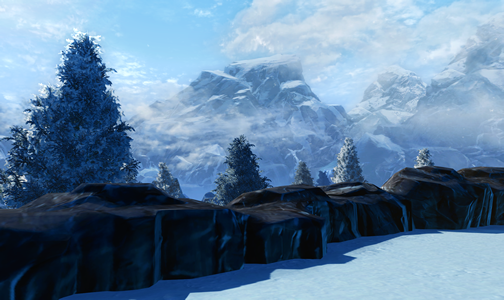 Having cycled through numerous strong chiefs as leaders during its' time, the position as voice of the Coalition and the Gar'Karta's primary representative to the Empire has fallen to Rhancir of Clan Kyr'amla, brought to the cause through a business deal between his chief and the Covenant, now put in a postion to bridge the gap between the two peoples with the help of his contemporary, Synnovia of Clan Draku, who acts as his Advisor. And now, with a growing band of brothers and sisters forming amongst the Covenant's Mandalorian ranks, the call to arms is issued, for any and all willing to adhere to the code, the canons of honor and take up the armor, to call themselves Mandalorians. And for these newcomers, come the request for the veterans, the old warriors, and the experienced followers of the Mandalorian Creed to teach their ways to the worthy in the galaxy, and take up arms with their brethren in the Iron Heart. For Mandalore and For Glory, With the Empire. 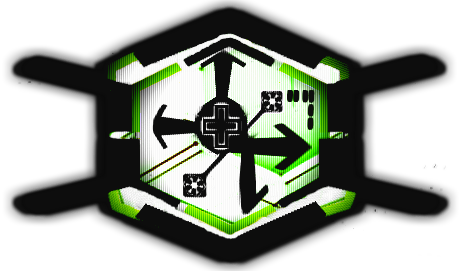 A solution to a growing problem, a Research Division became the resolution to a stagnant Medical branch which, although successful and equipped, saw little in the way of development and restricted the Covenant's options in staffing. It was created for the sake of branching the Covenant out into fields it could previously not focus upon, with the threat of Zakuul ever looming, and lend new purpose to the many medical professionals and other associates within its rosters. Now with imperial space mostly secure, focus could be diverted to not only keeping the Covenant intact and growing, but also to keep it flourishing and learning. 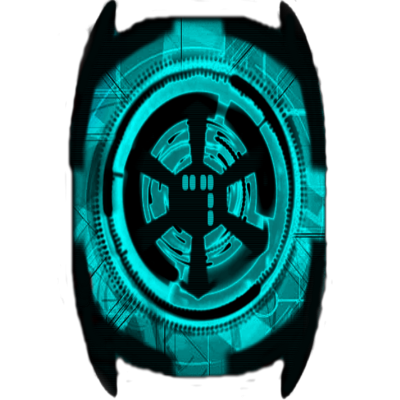 Experts were brought in and personnel rearranged in order to form the basis for a proper Research division, the result was the formation of the Expansion Institute, whose goal it was to further the Empire's scientific efforts and explore the use of fringe technologies to further benefit the Covenant and the Empire. The previous medical staff of the Covenant Medical Division were folded into the institute to serve not only their previous purpose, but also to assist with medical research and advancements, utilizing the full width of the equipment the Covenant had to offer to come fully prepared and ready for new purposes and endeavours, while being supplemented with new personnel that will broaden the meaning and expertise of the branch as a whole. 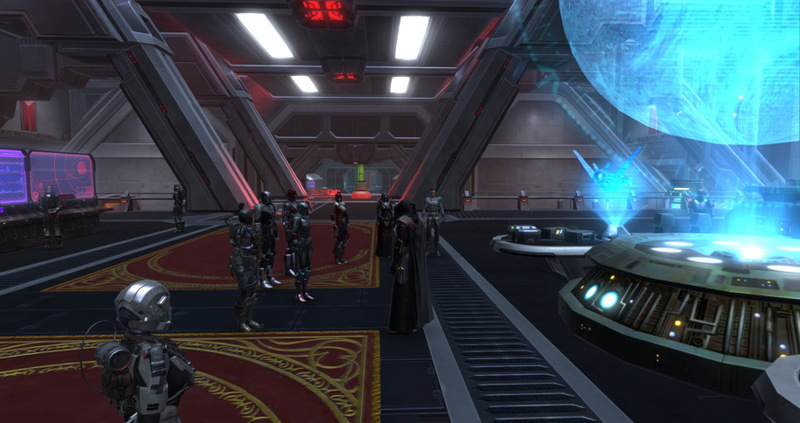 While building upon the successes of the medical division before it, the Expansion Institute ties directly into the Imperial Science Bureau as a minor associated entity, with internal and external funding provided through the appropriate channels in order to endorse the efforts made by the Covenant and the Empire in the scientific field. The Expansion Institute and the Covenant itself would seek for anyone with a proficiency for inventions and either creating, studying or modifying devices of great quality. Medical professionals, cybertechs, slicers, imperials and sith with ties to the spheres of ministries of Technology and Biotic Science, aswell as droids and researchers, possibly even the creations they have made, would be able to find a place with the cyborg Utzire Dvirat, the Director in charge, and Lead Researcher and Sith, Bexamushu, her Advisor. 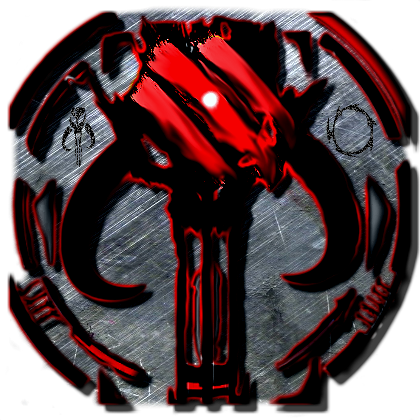 The Sith are the undisputed leaders of the Empire, and as such it was ordered by Darth Tarasirs that the Covenant shall maintain a training initiative of its own, like the many initiatives that came before. The goals were similiar, to further the teachings of Sith that have completed their trials upon Korriban and are ready to advance in their service to the Empire. This task was entrusted to the loyal Lords Ellydir and Antroz by Darth Tarasirs' decree when the Covenant Academy on Taral V was first under construction and later finished., and later passed down to Lords and Darths alike as the Covenant endured. 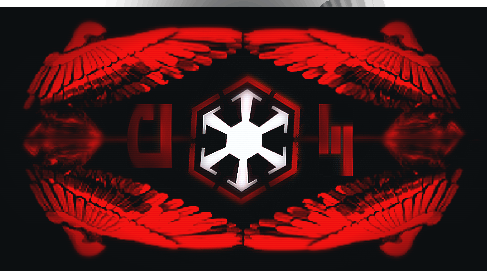 By teaching the new generations of Sith and bringing them to strenght, the Covenant is able to influence the future composition of the Empire, producing Sith that will potentially align more firmly with the vision of the Imperial State, and not have them languish in heresy or apostacy. By paving the way forwards for the new generations, the Empire's efforts have been strenghtened by several Sith of note, able to continue in the footsteps of their masters, taught to lead from the front and to show initiative. Over the once hallowed halls of the Taral V Academy, there is currently only silence to be heard, the victim of a Republic attack, fully sacked. And although the center structure was destroyed most of the knowledge kept within was saved before its fall, and the Academy Initiative continues onwards. Wether Apprentice, Acolyte, Lord or Darth, the Covenant will accept the pledge of all who may bring powerbase and willpower to their ranks. A detachment of Imperial Guard make their home within the Covenant's territories, assigned to keep a watchful eye over proceedings, and make sure that all Sith within the Covenant's flock remain focused and that the decrees of the Empress are not ignored. Leading the Instructors and charged with the overall mentorship of the new Sith, Darth Magne keeps the training regimen focused and disciplined, whereas Lord Primyn Odacai offers his unique perspective to the Apprentices, maintaining the order between Headmaster and Overseer. 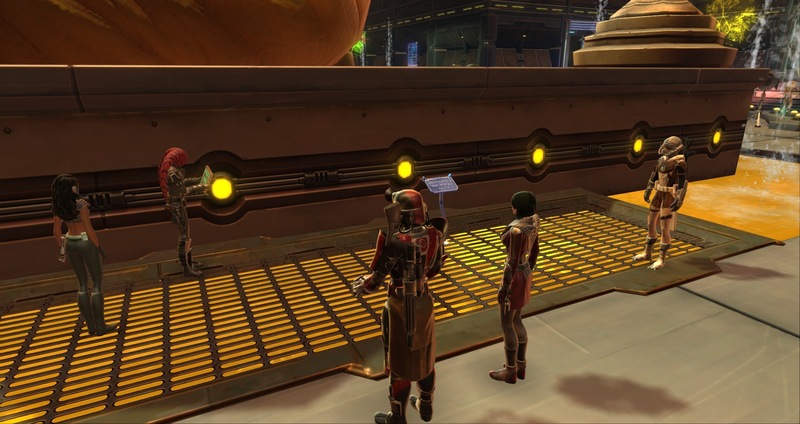 Operation Goldmine, a subterfugal attack upon military emplacements on Zakuul itself to gain as much attention from the security forces on the planet as possible to then duck out of the conflict. The available Paragons joined oneanother upon the ship of Koba Yashi, and prepared for the battle to come. Operation Exorcist, an act of necessity on the part of the Paragons, upon claiming an old bunker upon Dxun. 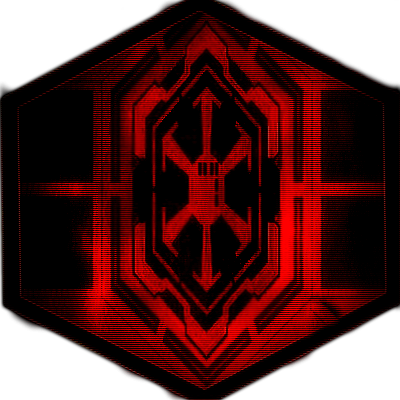 The Dxun had existed since the construction of Freedon Nadds tomb and was used to house workers for the building of it, but had a lingering group of force spirits, Sith from the time of the Jedi Civil War and Darth Nihilus forces from the Sith Triumvirate. These spirits were vanquished by the mostly Sith team of Paragons from within the Covenant, and the bunker was claimed for their benefit. Operation Killjoy, was the result of news of further Zakuulan activity around strategically important worlds, apparent plans to clear a site for a shield-bunker to defend a future Star Fortress above Balmorra prompted a harsh response from the Paragons' Covenant, who deployed all available forces to the surface of Balmorra, to reinforce one of the Imperial outposts under attack in the Sundari flatlands and make sure that the Zakuul forces on site could not dig in. Another quick update! Our numbers are looking good but we are always wanting to grow to share our stories with you all, and include you in ours, aswell as hear and participate in yours! Today marks the beginning of our main Guild story, which will begin with the conquest of a Star Fortress in orbit about the planet of Vjun. We are excited to get the ball rolling on this, and hopefully we may include some of you in this story as it unfolds! We have started to host events a bit more often, and activity is picking up a bit again, hopefully we may include some of you in this aswell! A bump! 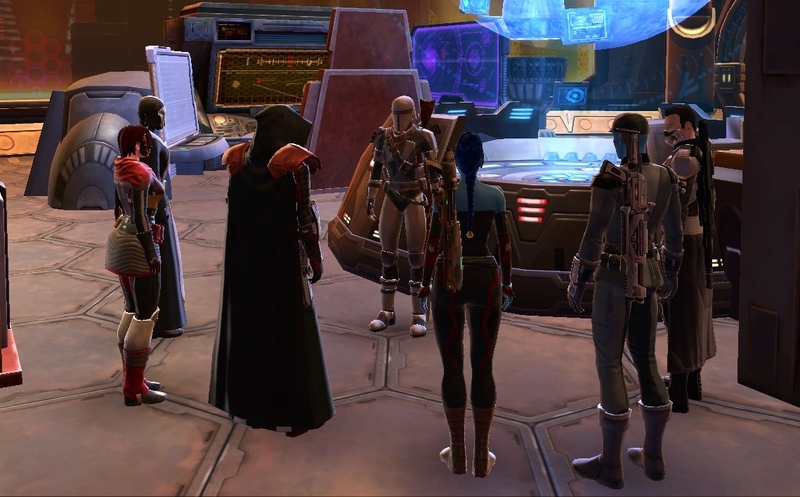 The guild has grown well as of late, and we are all very happy that a community has been built here, and something i am personally very pleased with is that we have a good number of Mandalorian characters for Clan Yashi players. And all mandalorians regardless of IC clan can tag along with the Mandalorian branch without joining the clan itself ICly. We have several non-yashi characters in the guild, so having more wouldn't be out of place! Heyo! And hello again! I can happily say that we have become pretty established now, and are able to accomodate for quite a few people, which is precisely one of the goals we had in mind when first starting the guild up. 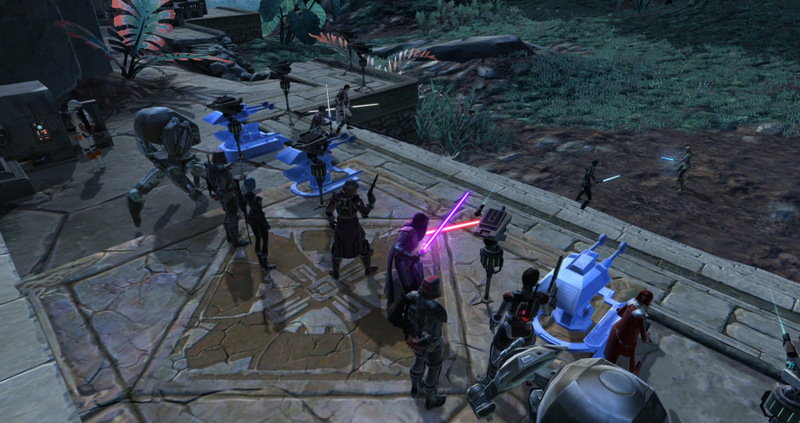 Here is a glimpse at one of our Freelancer events, where a couple of our Sith participated aswell! We are recruiting for all branches and would love to have new members along in the community that has been built since we started! Operation Homefront was the defense of the Covenant headquarters, the Embassy, which is located on Yavin 4 on top of a mountain overlooking the forests. The Exarch in charge of the Star Fortress above Vjun returned for payback, and brought a section of the Eternal Fleet with him. A battle in space and one on the ground ensued as the Embassy was sieged, and the shield-generator protecting it strained to the limits until the invasion force could finally be repelled. Operation Riposte, was a direct retaliation effort upon Zakuulan soil, where an infiltration mission was held in order to reach Zakuul itself, and sabotage a vast industrial sector to ease for future covert operations in the region. Disguises were kept in order to infiltrate the area and allay suspicions, allowing for explosive charges to be set at strategic locations to bring the power-grid down. Operation Hammerfall became the name of another retaliation strike against Zakuul, as the Covenant set out towards one of the heavily irradiated cities of Bothawui, which were bombarded by Vaylin due to the Outlander's actions against the Eternal Empire. The urban area of toppled buildings and crumbled streets were covered by the smog that remained in the area since the blasts. The Covenant held their briefing aboard the Capital Ship of their navy, the Sovereign's Convergence, and used a large transport ship to get past the air-defenses still lingering above Bothawui. As they were discovered, the gunners inside had to fend off zakuulan fighters until they could land with their payload, a recovered Siege Behemoth Walker, taken from the military workshops on Vandelhelm, still kept by the Zakuulans at the time. The Walker was used to decimate the entirety of the Zakuulan base that had been targeted by the Alliance for destruction, which the Covenant happily obliged in.